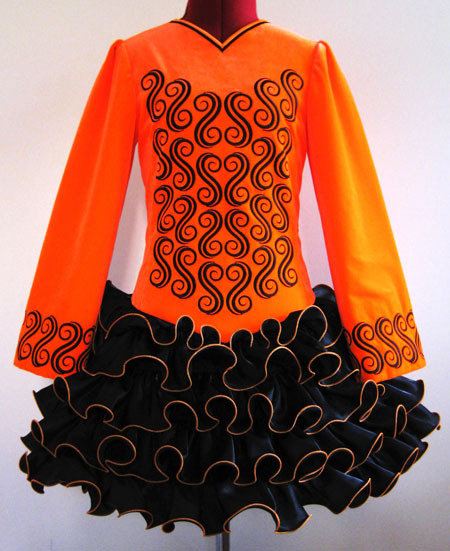 Fluro orange velvet bodice and sleeves, with black feminine embroidery design. 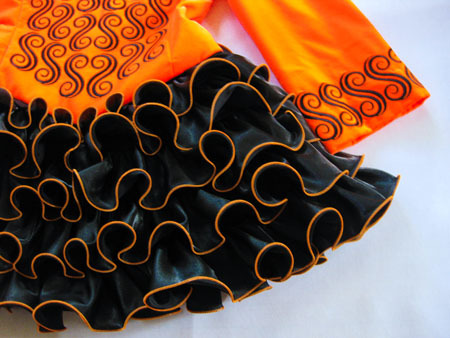 Adorable black cupcake skirt ruffles with fluro orange trim. 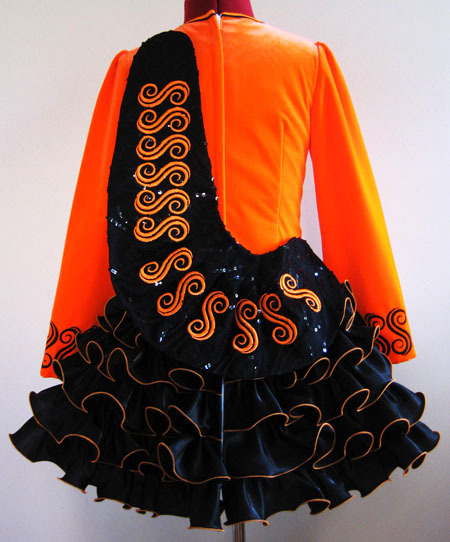 Shawl constructed from black sequin with fluro orange embroidery design.